For most people, the choice of apartment is based primarily on the quality and suitability of the apartment and its location. But people in the market for a new apartment look at a number of other factors, too. One of those is the service provided by the community’s leasing team and management. Unlike tangible features people can “check off their list,” like an open floor plan and granite countertops, service isn’t as easy to see when you’re touring potential apartments. 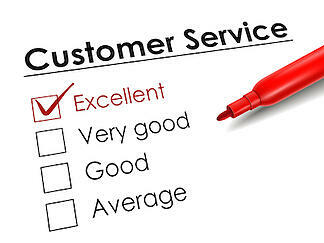 What should your expectations of service be as you evaluate apartments? And how can you tell if what the management says about their service is true? There are two types of service: actions of the management, and the number of “extras” offered for the enjoyment and convenience of residents. Another resident is unexpectedly working late, but her dog needs to be let out; she calls the Springs office and they make sure Fido’s needs are taken care of. A good management team will focus on the needs of its residents and find ways to go the extra mile when they can. As you look for the right apartment home for you, don’t forget to evaluate the types and level of service offered. One quick way to know if management is “walking the walk” when they say they’re focused on residents? Each time you walk into a leasing office, notice how the representative greets you – if he or she greets you at all. Is this person eager and welcoming, or distracted and uninterested? That will be your first clue into how serious the community management is about serving you!